LX trim, Modern Steel Metallic exterior and Black interior. FUEL EFFICIENT 40 MPG Hwy/33 MPG City! Back-Up Camera, iPod/MP3 Input, Bluetooth. Warranty 5 yrs/60k Miles - Drivetrain Warranty;KEY FEATURES INCLUDEBack-Up Camera, iPod/MP3 Input, Bluetooth Rear Spoiler, MP3 Player, Keyless Entry, Steering Wheel Controls, Child Safety Locks. Honda LX with Modern Steel Metallic exterior and Black interior features a 4 Cylinder Engine with 128 HP at 6600 RPM*.EXPERTS RAVEThe seats offer just enough adjustability. They are wide, allow plenty of leg movement and are comfortable even on longer trips. -Edmunds.com. 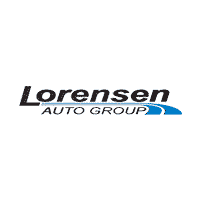 Great Gas Mileage: 40 MPG Hwy.WHO WE AREAll preowned vehicles are covered by the Lorensen Advantage, including extended warranties and free services. For more information go to www.lorensen.com/lorensen-advantage.Horsepower calculations based on trim engine configuration. Fuel economy calculations based on original manufacturer data for trim engine configuration. Please confirm the accuracy of the included equipment by calling us prior to purchase.